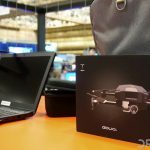 At InterDrone 2017, GDU has announced their latest flying machine, the compact, telescoping, GDU O2. Their mantra is pretty simple: Everyone. Anywhere. Any time. 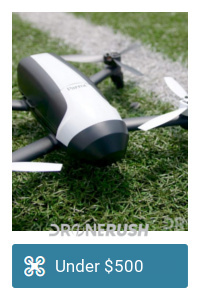 A goal they think the O2 drone can achieve with a unique portable design, a competitive price tag and the world’s first sliding arm consumer drone design. 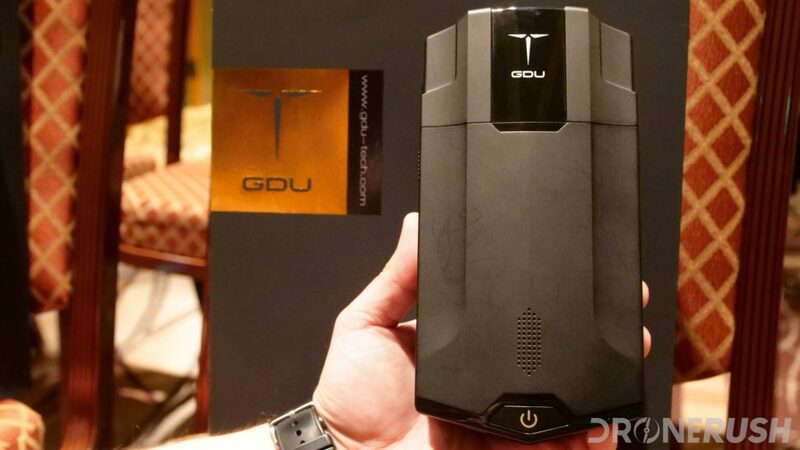 There is much to be impressed with here, let’s not waste any more time, here is the new GDU O2. 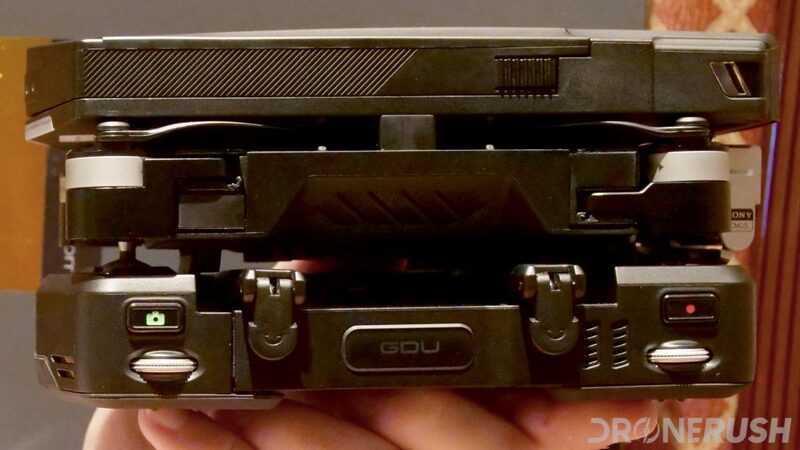 When you are done with reading all the specs, get our impressions from our hands-on experience with the GDU O2 here. 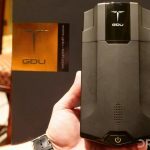 GDU has an idea, this idea is that you want a drone that is easy to pack around, stays in the air for a decent amount of time and is not only easy to fly, but easy to fly well. 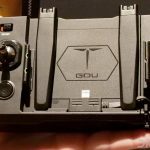 The O2 is their answer to these needs, packing a compact design with two unique new transportation options and a number of autonomous flight modes for pilots of all skill levels. 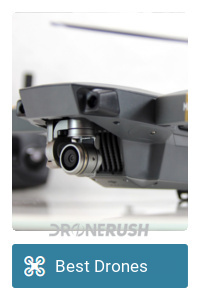 The approach to telescoping propeller arms is ingenious on a few levels, but we are particular fans of the ability to attach the drone to the remote control for transport. 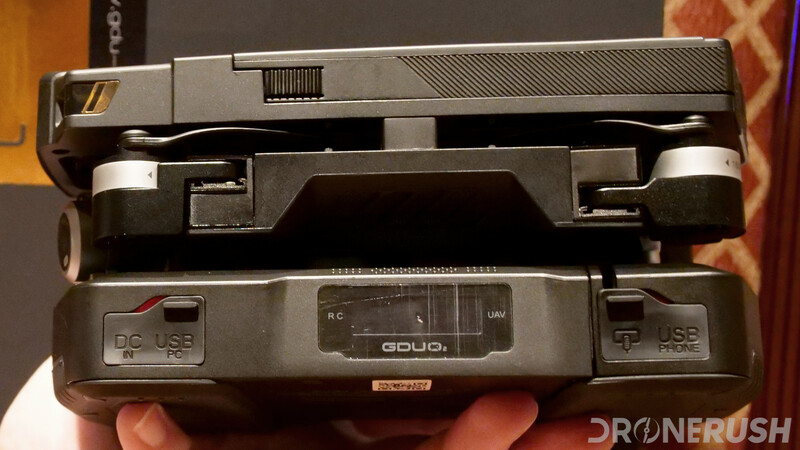 While compacted and connected the propellers, antenna and joysticks are all protected from bumps. 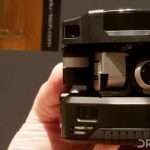 The only thing possibly exposed is the camera, the solid gimbal protector should keep that safe for you. 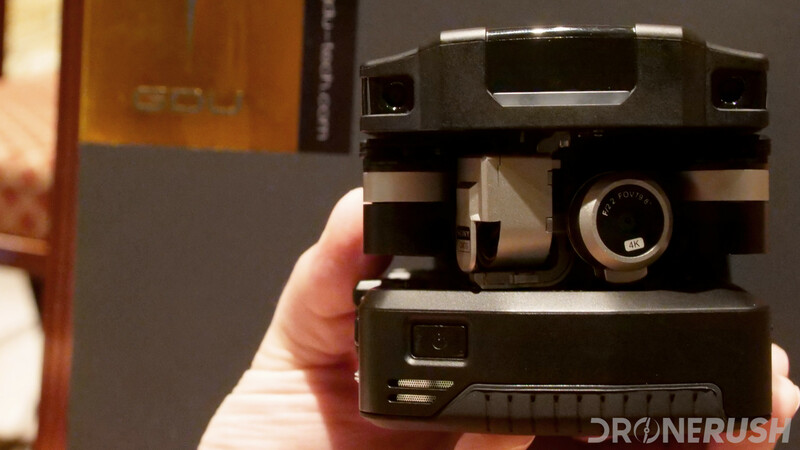 The camera is a 4K shooter, with 13MP stills. The gimbal provides 3-axis stabilization, with the ability to tilt upward up to thirty degrees, perfect for bridge inspection. 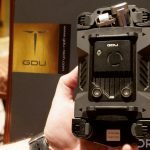 GDU says that the gimbal system is the smallest 3-axis on the market today, jut don’t confuse a small gimbal for a small camera. On the inside is a ton of powerful equipment. 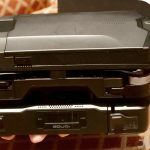 Starting with a Qualcomm Snapdragon 801 chipset running all the smarts, you’ll find GPS, GLONASS, 16 GB of built-in storage, WiFi connectivity and more. You can connect via the remote control or through the mobile app. The app will let you get out about 260 feet, while the remote will get you to about 1 KM. 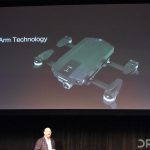 There is an updated version of the drone in the pipeline, it will offer double the internal storage and up to about 7 KM of connectivity. 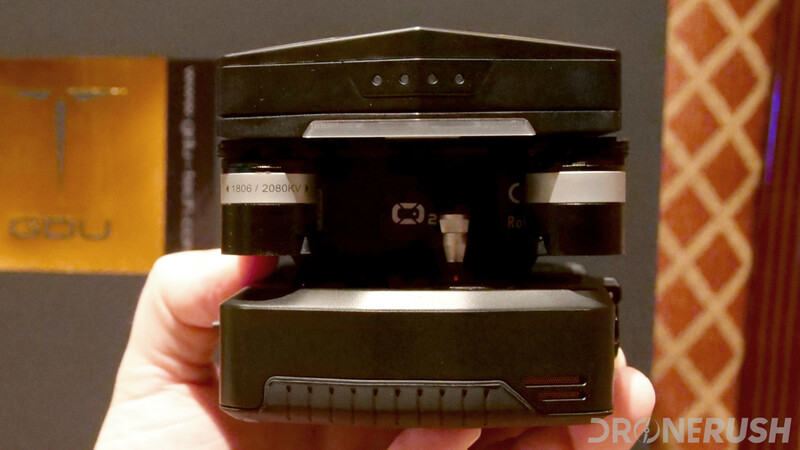 Video recording may be at 4K resolution, which fires back a 720p video stream to the app on your connected phone. 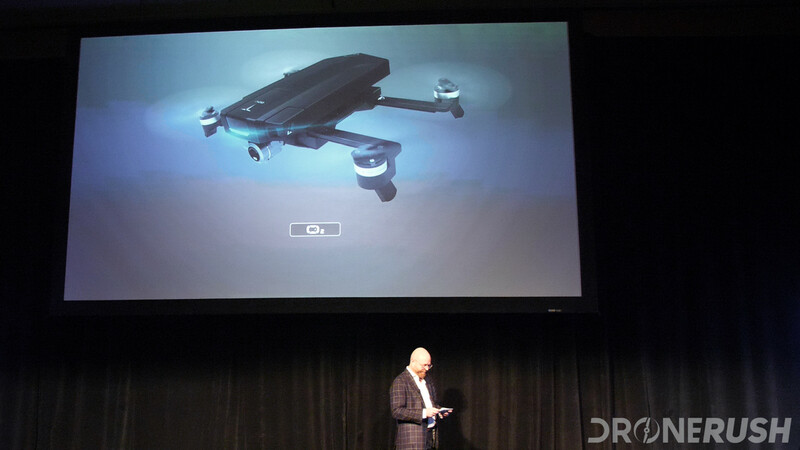 The 4,000 mAh battery will get you upwards of 23 minutes of flight time. Then swap the battery and continue to soar. 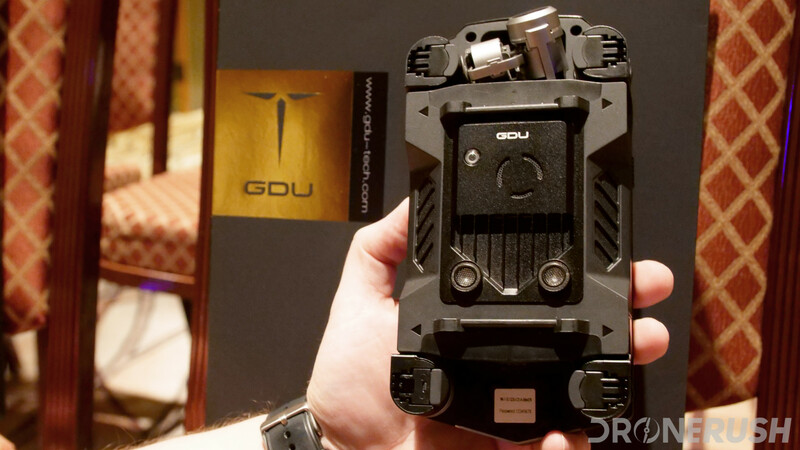 Running through the spec sheet tells only half the story of the GDU O2. 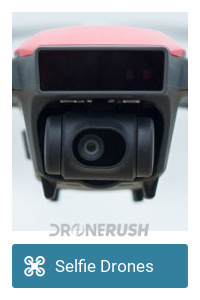 There are rich features including object detection & avoidance, autonomous flight modes and more. Visioning systems are a Binocular Object Avoidance System, that is, a pair of sensors ensure you do not run headlong into a wall. We witnessed this first hand during the flight demo. We were behind the safety curtain, but the drone flew at us and at about 10 feet out it came to a halt. This distance is configurable from two to fifty feet on the forward sensors, one to forty two feet on the downward sensors. Autonomous flight modes break into nine distinct modes. 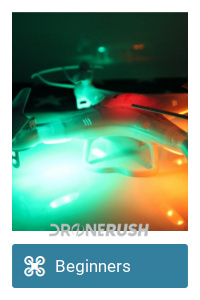 Circle mode, Rocket mode, Dronie mode, Follow me mode, Return to home, Burst mode, Time lapse, Slow motion and Gesture recognition. Circle, Rocket, Dronie and Follow Me modes all perform in-air maneuvers to capture professional looking shots with minimal effort. Return to home is pretty straightforward, as are Time lapse and Slow motion. 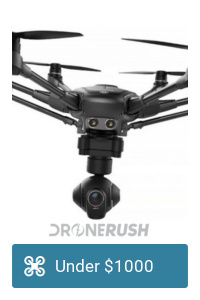 Don’t be fooled, the inclusion of both slow mo and a timelapse feature on the same drone is something I don’t think I’ve seen before. I’ve certainly seen time lapse and manually created slow motion video in post production. 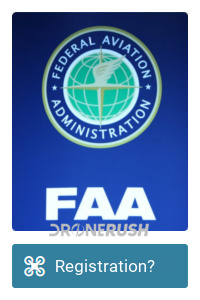 Seeing these on the drone is a nice touch. 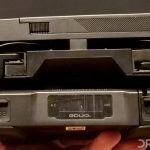 Gesture recognition offers only two gestures at this point, but the tech is set to add more in future firmware updates. At this time, create a “V” with your fingers, you know, a peace sign, and the drone will take a photo of you. 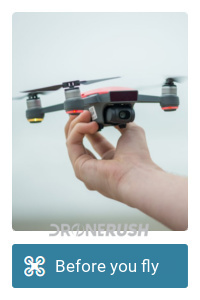 Put your flat hand, palm toward the drone to start video. Finally, Burst mode is more than you think it is. Way more. Sure, you can use it as a simple camera burst, but it is made for beginners, or as a fun tool for advanced pilots. 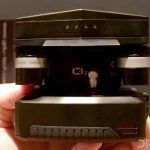 Instead of simply snapping the exact same photo several times in a row, the drone autonomously flies to different distances and angles from an object. 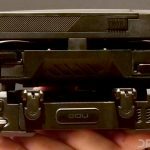 The end result is either a fun animation, or more to their goal, Burst mode is a teaching tool to help you learn distance and angles for your ideal photo and video capture. 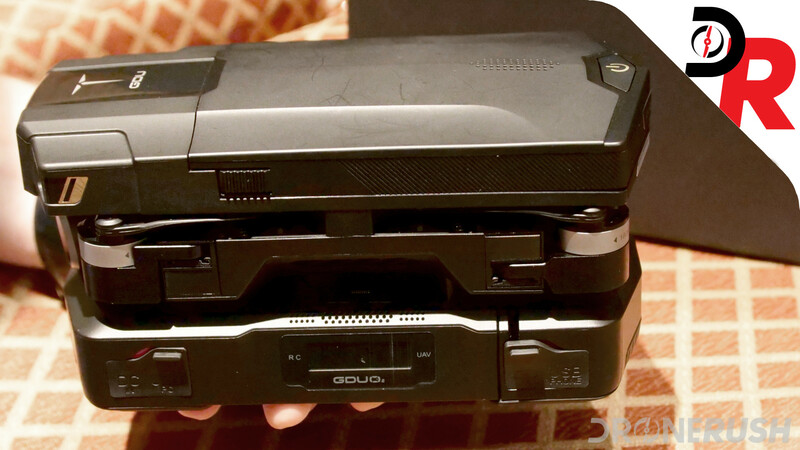 In terms of stable flight, the GDU O2 packs both GPS and GLONASS. 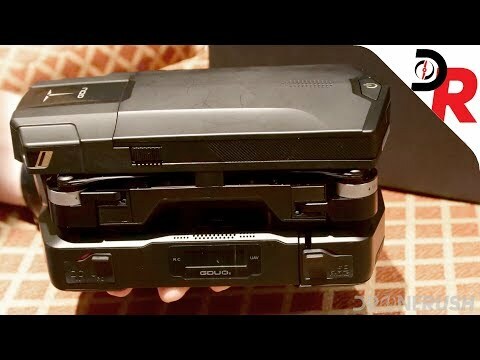 In the event that this dual positioning system lets you down, there is downward facing visioning sensors. 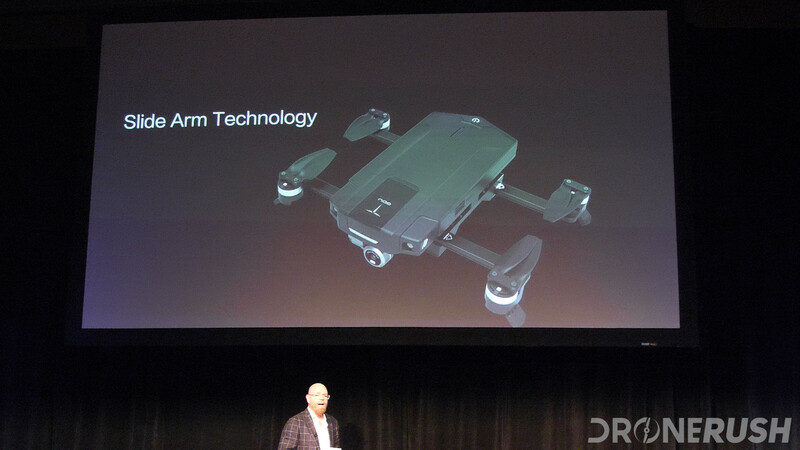 We haven’t seen this drone fly outside yet, but indoors it was able to hover in place with great accuracy. Battery 4,000 mAh Lithium Polymer - Removable. Will you allow me a moment to be brutally honest? Good. 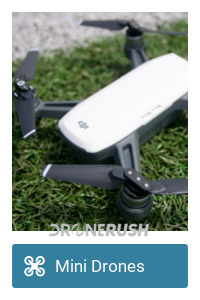 I’m excited about this drone. What I’ve seen so far will land this machine on many of our best lists on the site. 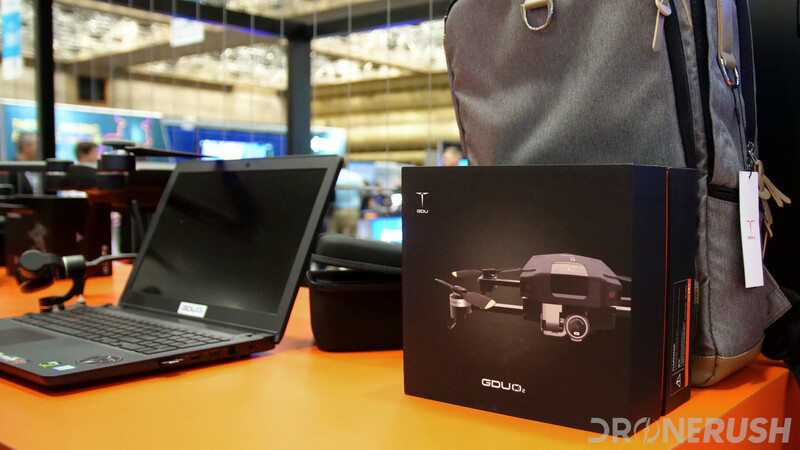 That said, if I put together a list of the prettiest drones, the GDU O2 may not make the cut. It’s a good thing we worry about more than aesthetics when we evaluate capabilities and value of a drone. 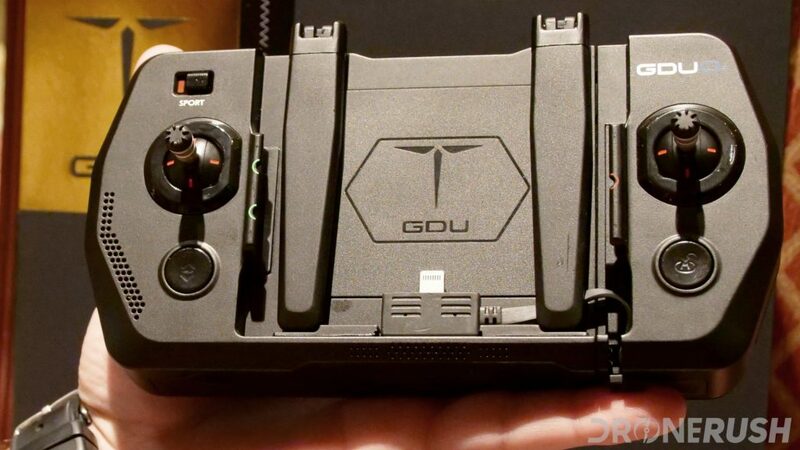 GDU has packed an impressive amount of tech into this little drone. 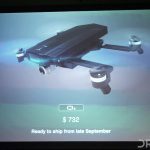 The remote control is also well thought out and the entire package is about as convenient as drones get for transportation. 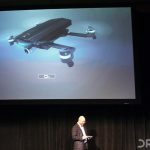 In terms of size, the ‘folded’ drone is larger than a folded DJI Mavic Pro, however, the Mavic then has a controller to haul around, the O2 is ready to rock at this size. 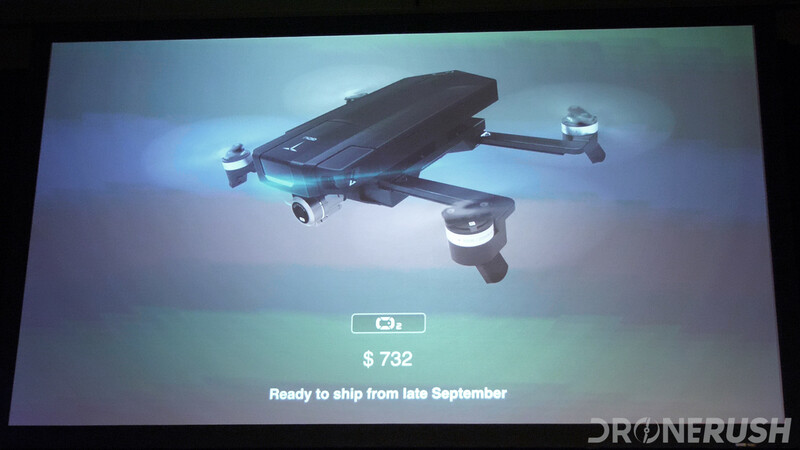 Pricing can make or break a drone. 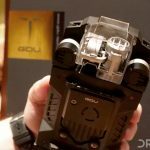 The current market has few drones below $1000 that provide stabilized, quality 4K video recording. The GDU O2 is now one of those few. 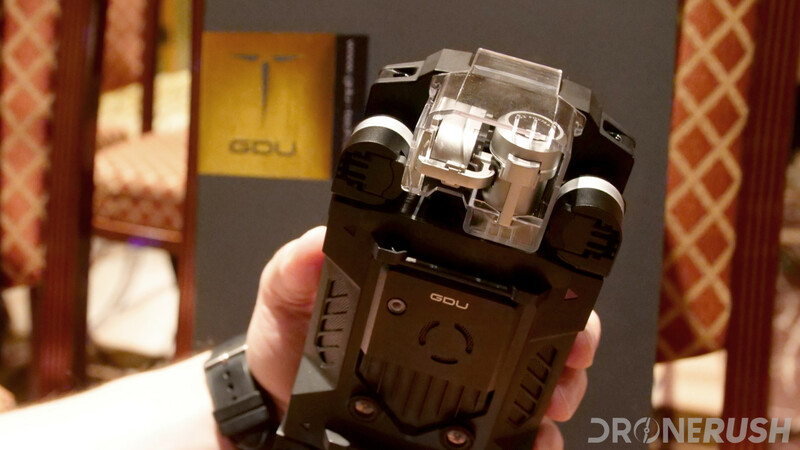 Your new GDU O2 will ship starting in late September for a price tag of $732.00. 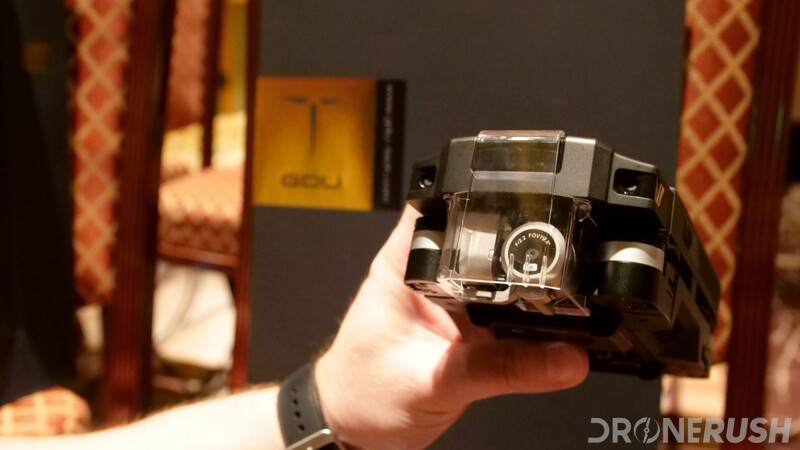 Stay tuned for more coverage of the GDU O2 and of InterDrone 2017, we have more of each coming soon.